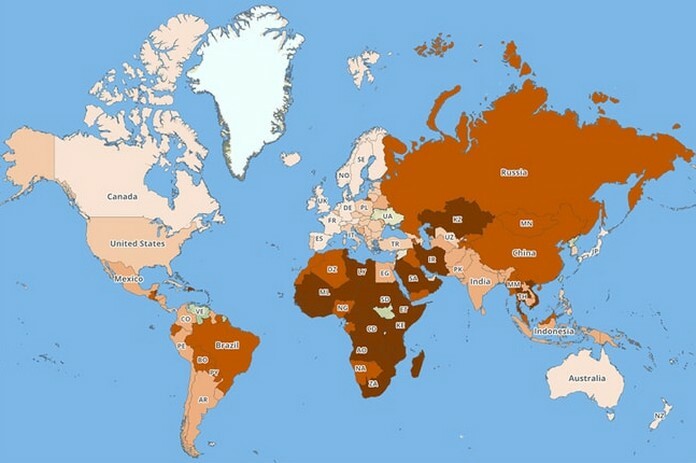 A new map created by International SOS and control risks that shows the security, medical and road safety of every country in the world has been created to help you figure out where’s safe to travel. 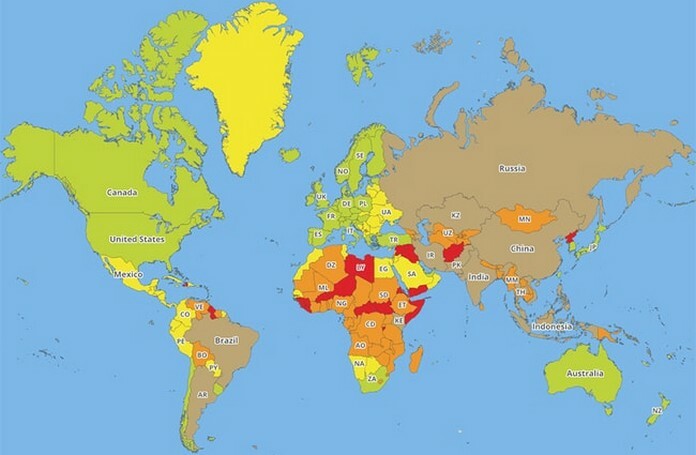 The countries that are considered to be low-risk to travel in are Finland, Norway and Iceland, which have the lowest rankings for all three categories. 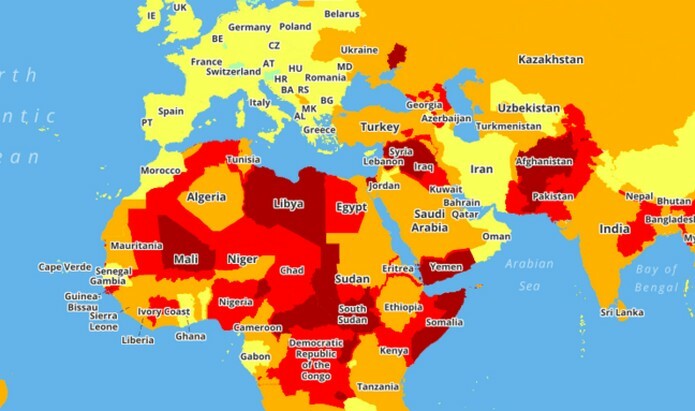 Syria, Mali, Libya, South Sudan, Afghanistan, Somalia and Yemen are all ranked as ‘extreme’ in this category, with Mexico, Pakistan and parts of India ‘high’. Security risks in Greenland, Iceland, Finland, Norway and Switzerland are shown to be ‘insignificant’ and ‘low’ in Canada, the US, Spain, the UK, France, Germany, Japan, New Zealand and Australia. Brazil, China and Russia are shown to have ‘rapidly developing variable risk’. 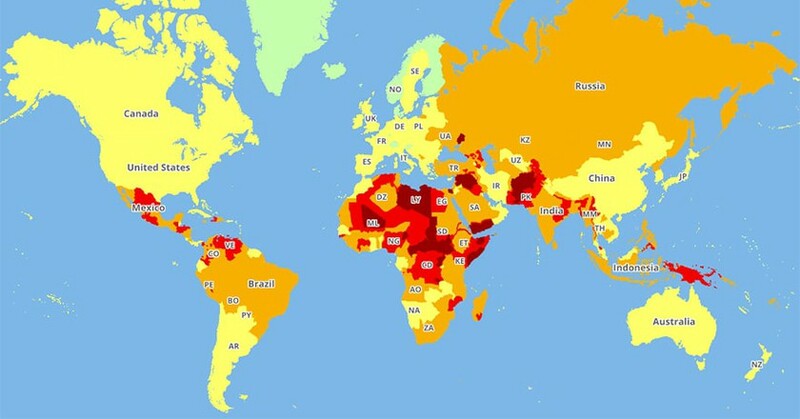 Africa poses a very high risk to travellers, as do Syria, Iraq, Afghanistan and Guyana.